Stellar Four: Who Are You People and Why Are You Covered In Cogs? Who Are You People and Why Are You Covered In Cogs? Hello and welcome to the wonderful, weird world of steampunk! It's Steampunk Week here at Stellar Four and we are overjoyed to bring you a week full of zeppelins, corsets and goggles! We have spectacular articles planned for you, dear reader, but I know some of you must be wondering "what the hell is steampunk?". Well, you are in luck. This article is a quick and dirty breakdown of what steampunk is and who are these crazy people gluing clock parts to their top hats. Grab your goggles and join us! Steampunk is an up and coming genre of fashion, fiction and art. It's origins are surrounded in mystery but it can be traced back as far as Jules Verne in 1870. Steampunk started as a sub-genre of sci-fi and fantasy, with many steampunk works coming out in the 80s and 90s. 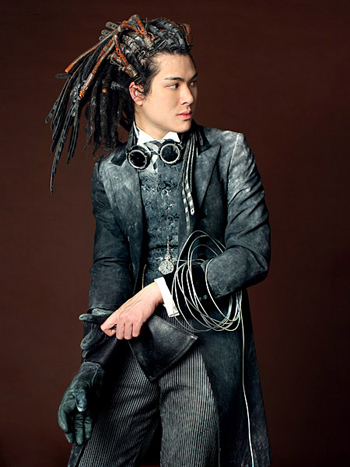 Steampunk as a lifestyle has emerged very recently with people creating grand, sweeping personas and outfits to match. Steampunk is the idea that the Victorian era created advanced technologies using steam as a main power source. Often, steampunk fiction includes everything from computers to advanced weaponry powered by steam. Steampunk clothing: The goggles, they do nothing! Usual steampunk attire takes its cues from Edwardian and Victorian fashions, including everything from corsets, bustles, vests, cravats, top hats and military attire. Many popular steampunk personas are that of mad scientists, intrepid explorers, airship pirates and military guns-for-hire. While steampunk clothing can be monochromatic (browns, sepias, etc), that is not the general rule. Many outfits involve goggles, as well as cogs and gears sewn into clothing. Steampunk has a long and classic history in literature. It began as a part of speculative sci-fi with works like 20,000 Leagues Under The Sea by Jules Verne and The Time Machine by H.G. Wells. Early steampunk involves fantastical inventions and strange, distant lands. 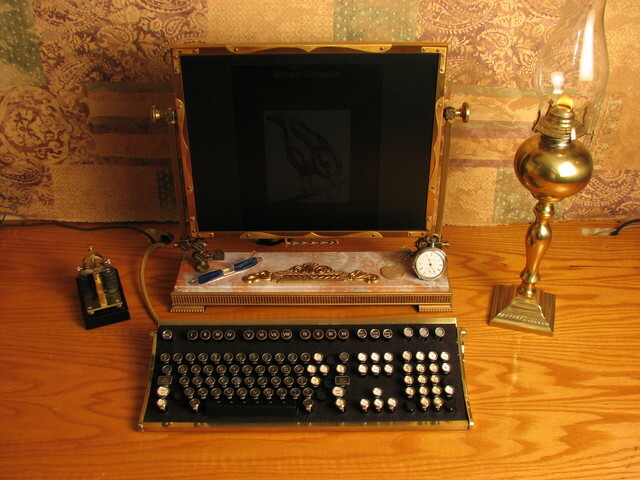 Many arguments can be made for many classic works being steampunk. Lately, steampunk literature has grown to include graphic novels (The League of Extraordinary Gentlemen), trashy romance novels and space-opera-esque sci-fi tomes. Some exemplary examples of modern steampunk literature are Perdido Street Station by China Mieville, Boneshaker by Cherie Priest and The Difference Engine by William Gibson and Bruce Sterling. The Sounds of Steampunk: That's all well and good, but can you dance to it? Steampunk is emerging as a genre of music as well. 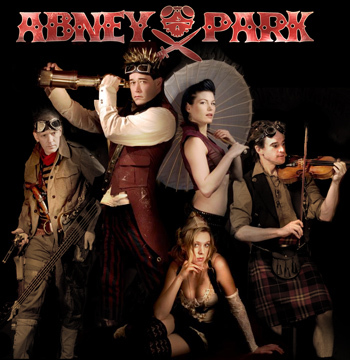 The most well known steampunk band is called Abney Park and they have styled themselves as airship pirates. The music started out as gothic in nature, but now can include everything from the folksy by-gone era stories of The Decemberists, to the pop punk videos from Panic! At The Disco. Steampunk music comes from all genres. As with all things, steampunk is also growing in popularity with movie audiences and TV watchers. From being the centerpoint of an episode of Castle, to being the central theme in films like Stardust and the recent Sherlock Holmes installment. It's also catching on with anime audiences. One of the coolest things about steampunk is the ingenuity it brings out in people. From designing steampunk versions of Star Wars characters and creating steam powered armor, there are also stunning mods made to modern items to make them more steamy. The steampunk computer, made by Jake Von Slatt, is a glorious example of the beautiful, detailed mods made with steampunk in mind. If you can dream it, you can steampunk it. Steampunk is all about being creative. I hope this woefully brief FAQ has helped let you into the gilded world of steampunk. The topic is vast, with many facets, and you could spend weeks or months trying to pin it down into one article. This is meant to be a quick introduction and if you like what you've read, then it's time to grab your pith helmet, fire up the airship and plunge into the wilds of the internet. But why with the goggles? Are there no other options for eyewear? I mean, Abney Park has all three guys wearing goggles... 80% of the gentleman in this post have goggles... I realize they may be a mainstay, but SO MANY GOGGLES! Thanks so much for the Steampunk primer, I appreciate it and it's a great intro! I wish I could post pictures in the comments, because I have a top-hat wearing octopus with a monocle. Pretty sure he's a steampunk fan.